When Japanese kamikaze aircraft made their approach at low altitude, picket destroyer radar often did not pick them up in time to give adequate warning. 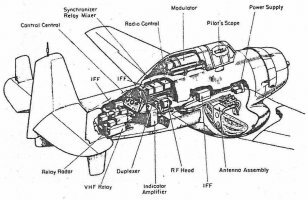 U.S. scientists responded by developing an airborne early warning radar system, Cadillac, that was based on an AN/APC-20 radar installed in a TBF Avenger. Cadillac included Identification Friend or Foe (IFF) and antijamming features and transmitted its data directly to the Combat Information Center (CIC) of a surface ship. The image was automatically rotated to account for the heading of the aircraft. The relay link, AN/ART-22, was reliable at up to 45 miles (72 km) distance. The radar antenna was housed in a bulbous radome eight feet (2.4 m) in diameter mounted between the landing gear. The aircraft was stripped of its bomb bay, armament, and armor, both to make room for the equipment and to allow the aircraft to reach an optimum altitude of 20,000 feet (6000 m). Two additional stabilizers were added to the tail and a high-power line run from the engine to the set. Nine other small antenna were located at various points on the aircraft. The aircraft crew consisted of a pilot and a radar officer in the control center in the rear fuselage of the aircraft. 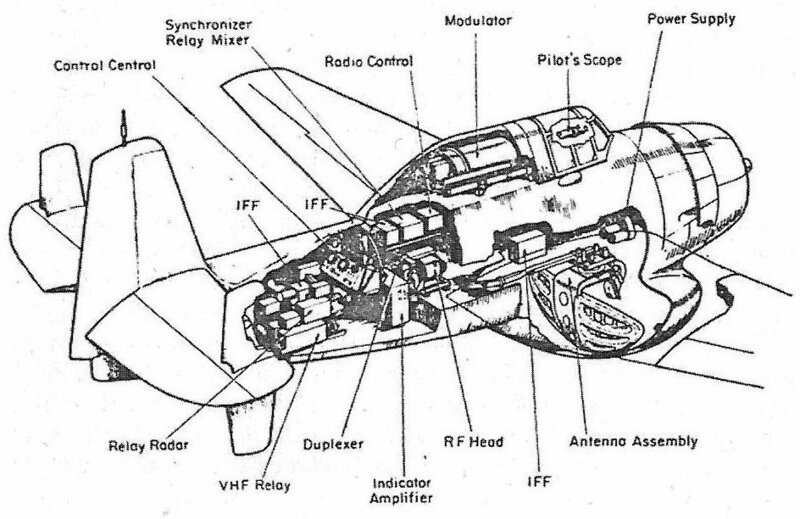 The relay transmitter could select any of several channels around 300 MHz and had antijamming features. It was two-way, allowing the surface ship to control the operation of the airborne radar. 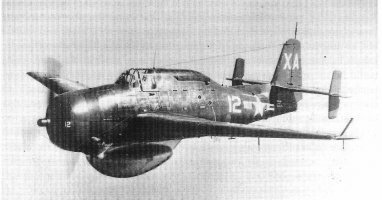 The prototype XTBM-3W first flew on 5 August 1944, and 27 production aircraft were ordered almost at once. The first production aircraft came off the assembly line in March 1945, but the system was still in the field testing stage at the time of the surrender. Cadillac would likely have made a crucial contribution to fleet defense had the invasion of Japan actually taken place, with each of three selected carriers participating in the invasion slated to receive four aircraft apiece.